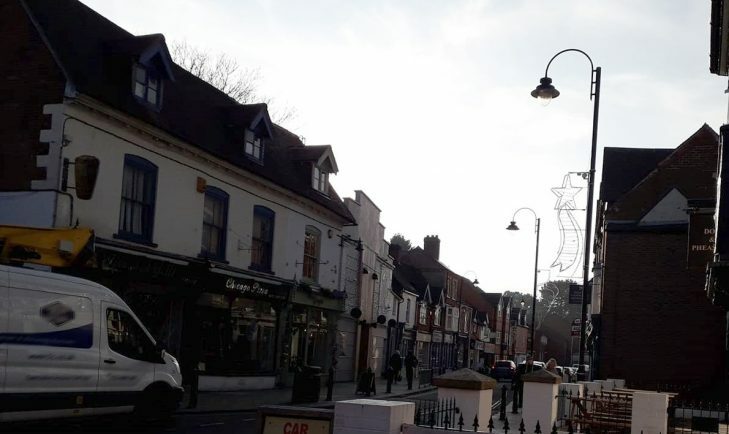 BUSINESS owners in Bromsgrove’s Worcester Road have slammed the state their street is being left in on Friday, Saturday and Sunday mornings because of anti-social behaviour from people leaving the town’s nightclubs. One who preferred to remain anonymous told The Standard: “We arrive in the morning to dried blood, urine and vomit on and around our premises, cigarette ends stubbed out on our shop fronts and strewn on the floor. Another, who also asked not to be named, said: “There is no need for a nightclub to have a 4am licence in a town of this size – 2am is more than sufficient. “The licence needs to be looked at and we need more police and more CCTV. “There are only a couple of cameras down here and they only cover a small area. “People don’t have to step far away if they want to fight or carry out drug deals. One shop owner who lives above their premises said: “We have to stay in a hotel every Friday because it is unbearable and we try to be away on Thursday night and Saturday night as well. “If you do stay away, you worry what you will to return to the next morning, what state the road is going to be in and what has been smashed. If they stayed at the flat above the shop they ‘had to wear ear defenders which would usually be used on shooting ranges to have any chance of getting any sleep’. The business owners have called on the police, council and nightclub owners to sort out the issues. Coun Karen May, whose portfolio includes the town centre, was due to go out with the police on Saturday night to see the issues first- hand. “Although the problems are happening in Worcester Road, the excessive drinking is happening throughout the town centre and people are pre-loading before they get to the clubs. “All licensed premises in Bromsgrove need to take responsibility for the people they are serving alcohol to. A Worcestershire Regulatory Services spokesperson said it was working closely with the police and other partners to evaluate the options available to ensure licences to all premises in Bromsgrove town centre were being adhered to. Licences are in place to prevent crime and disorder, ensure public safety, protect the public from nuisance and protect children from harm. He added any responsible authority or person could submit an application to have a licence reviewed. Email enquiries@worcsregservices.gov.uk or on 01905 822799 for more. On the CCTV issue a council spokesperson said there were three cameras covering Worcester Road and each one could see the other so if there were incidents they could be seen from both directions. “If we see such an incident we link to the Police HQ, ask for assistance and work with any police presence on the ground by helping them to direct their resources. CCTV in Bromsgrove is being reviewed, initially to upgrade the system from analogue to digital which, the council said, would provide more flexibility if additional cameras were needed. Michael Taylor, owner of 57 Monkeys, said he felt all venues should be in Bromsgrove Pubwatch and adhere to the principles of it.